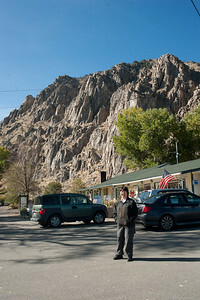 Our drive up US Highway 395. 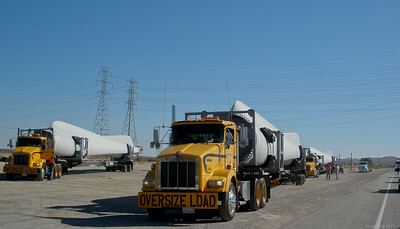 Windmill components heading north on US395. 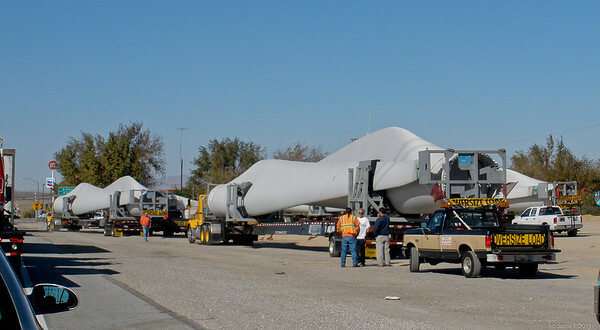 We're lucky that we didn't get stuck behind this convoy! 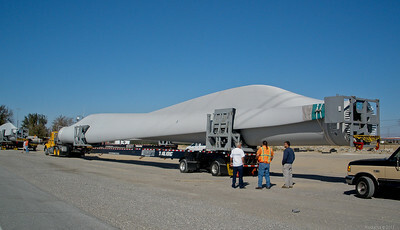 This looks like the biggest windmill you could build without cutting the blades into smaller pieces. 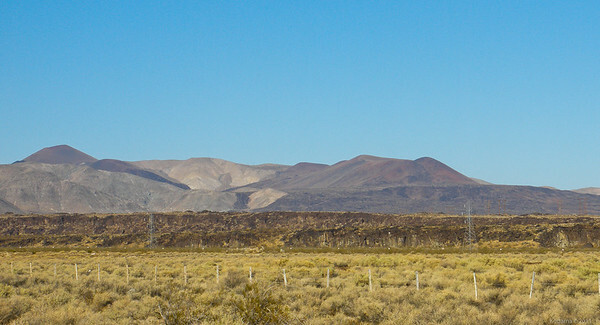 Looking east, lava flows contrast with the granite faces of the eastern Sierras (to the west). Mt. 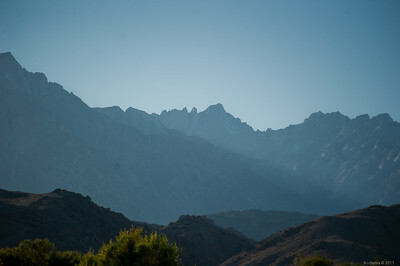 Whitney, as seen from just south of Lone Pine. Mt. 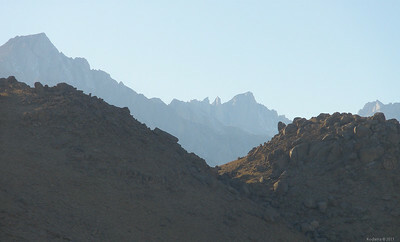 Whitney is not the peak that looks tallest. It's the one to the right in the background, just right of two sharp spires. Telephoto shot of Mt. 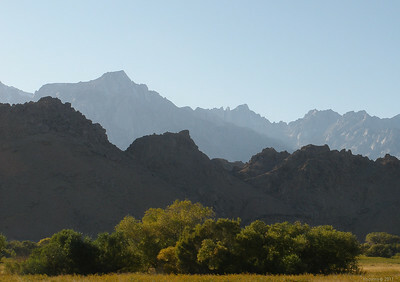 Whitney, seen through a notch in the nearby Alabama Hills. 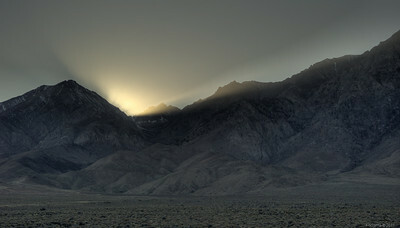 The sun sets for us behind the eastern Sierras. 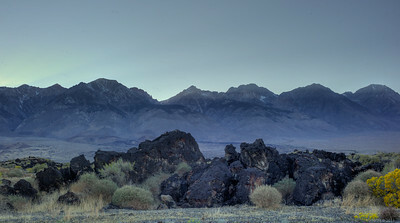 Remnants of a lava flow in the foreground, granite of the eastern Sierras in the background. The sun had set behind the eastern Sierras, but were still lighting up the foothills of the White Mountains. 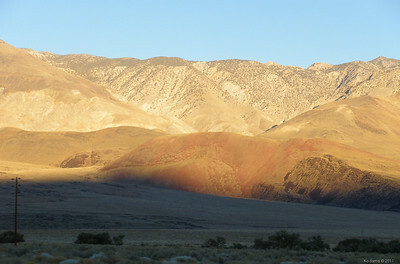 More hints of volcanism in Owens Valley, accentuated by sunset colors. Behind the hills -- Death Valley. 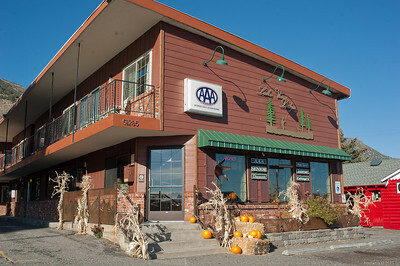 Our accommodations for the night at Lee Vining, near Mono Lake. 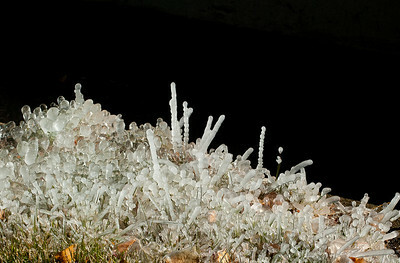 Morning ice crystals outside our hotel. 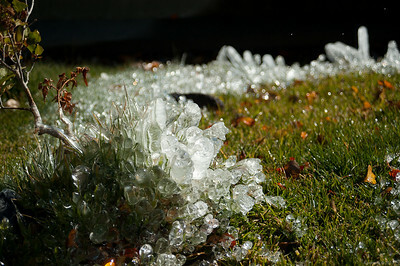 Ice crystals formed around blades of grass where the hotel's drip irrigation system ran all night. 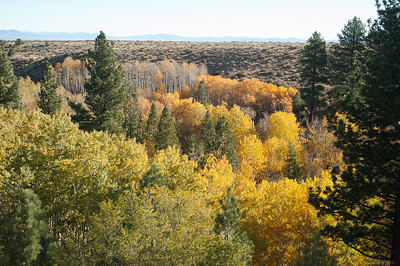 Late October was perhaps the end of the fall colors here. 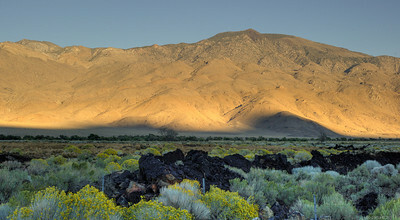 The north side of Mono Lake from US395.